A wonderful weekend at The Briars for ADVENTure 2016! 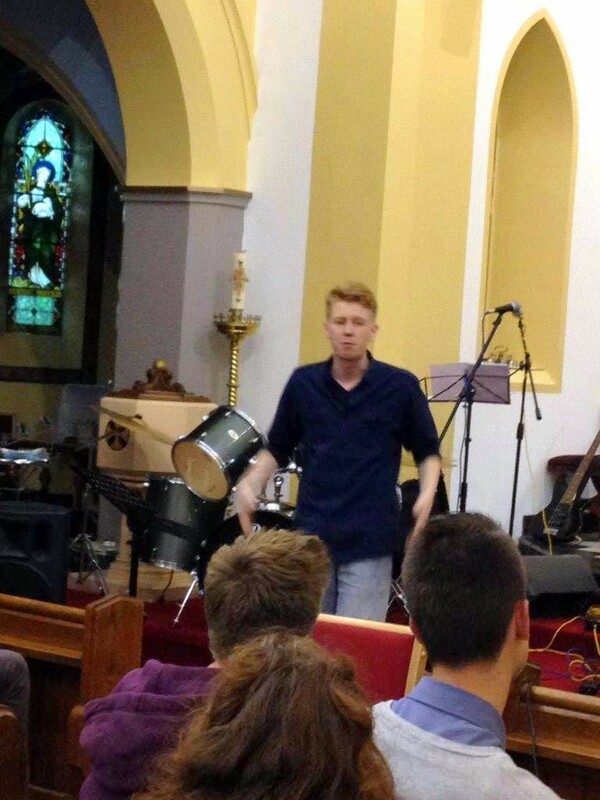 Matt Etchells with Will Cruddacé and 19 others at NDCYS - The Briars. Time for another emotional post about the huge impact faith has on my life and all the wonderful people it has allowed me to engage with. Last weekend I went on my fourth open retreat at The Briars and what an enlightening experience it was. Being reunited with friends from past retreats is such a wonderful feeling, especially when you only see them a few times a year. Not only that but meeting new people who have the same passion to explore their faith is so rewarding. So many people underestimate the power of faith, whatever that faith may be, in God or in whatever you believe, it is truly shown in the emotions of everyone on retreat. Never have I laughed so much, cried so much, and shown my true personality all in the space of such a short weekend. These retreats really bring out the best in everyone attending and it's all because of a little faith and courage to reach into the unknown and just go for it. Our purpose in life is to live, love and learn and you can't do that without stepping out of your comfort zone every now and again. After receiving affirmations on the last day, it always amazes me how people can be so thoughtful and caring towards each other despite just meeting them a night or two before. How they can pick out qualities that make up your personality and compliment them in such a beautiful way. The thought and passion people put in to write these affirmations for others is inspiring. I'm so grateful for all the kind words people have used to describe me, it means so much! My friends, you are all wonderful people and I'm so glad to have met you all, I don't know how I'd cope without you. Each and every one of you has a unique and beautiful personality and you should never be afraid to let that shine through, even in the darkest of times. Always take the positives from every situation and learn from any mistakes you make because they're so valuable. Lastly, never be afraid to stand out from the crowd and be who you want to be to reach your dreams. Never forget you can achieve anything you want with a little faith and courage. Always stay true to yourself. I love you all more than you know ??. �Have Courage, Go Forward and Make Noise�. 4pm Cathedral Hall for tea, cake, some presentations from young people and some workshops on how we can build on the legacy for the Year of Mercy. After Mass, you are again invited to the Cathedral Hall for light refreshments. I look forward to meeting you, and I would like to thank you for being an active member of your parish or chaplaincy community." Follow Pope Francis’ challenge for young people to ‘Have Courage, Go Forward and Make Noise‘. 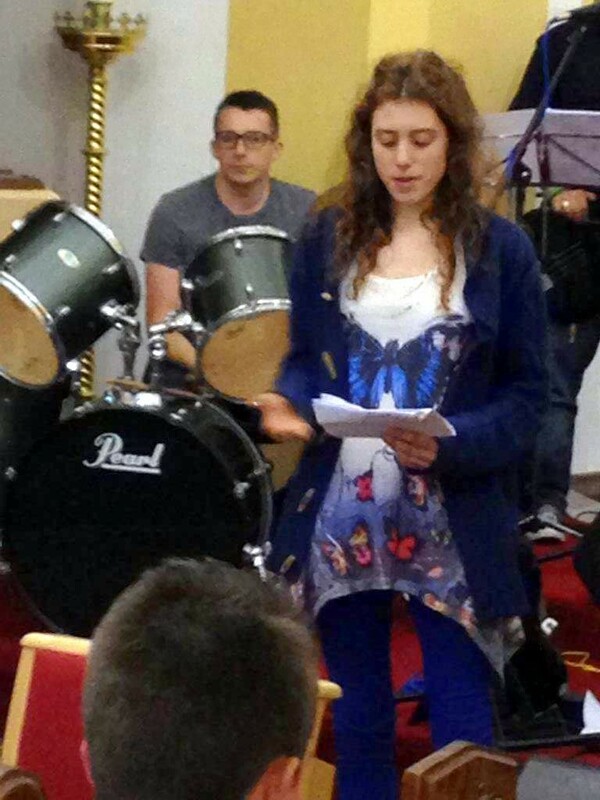 Cannons, Reach 4′s new open youth event launched across the diocese with great success over the week of 23rd-27th June 2014. 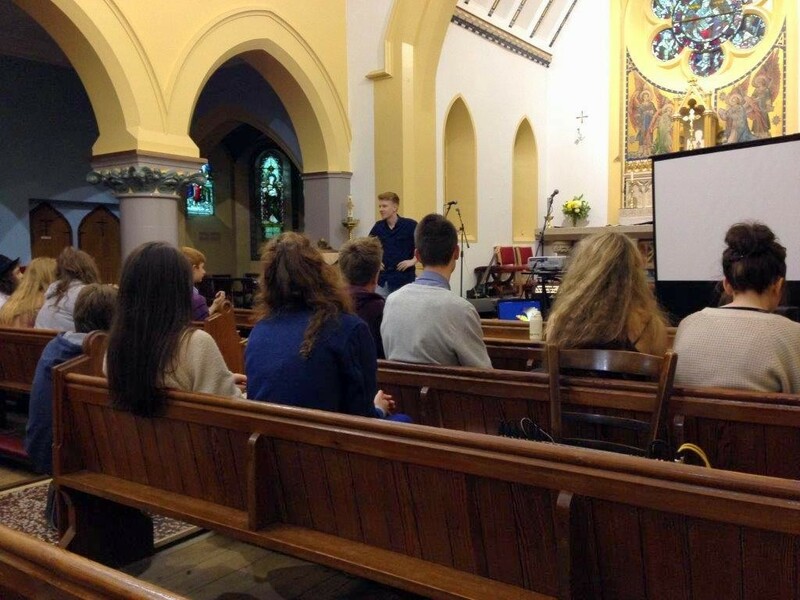 Held in five churches in five locations over five evenings, Cannons brought great numbers of young people together for an evening of prayer, teaching, music and socialising. From Leicester to Buxton to Scunthorpe to Derby to Nottingham, Reach 4 were bouncing all over the diocese encouraging young people to embrace their faith and the response was fantastic! Over the week we were treated to a series of intriguing and inspiring talks from Fr David Cain, Fr Joe Wheat, Fr Paul Newman and Tom Sellars, which provided so much fuel for motivation as we seek to follow Pope Francis’ challenge for young people to ‘Have Courage, Go Forward and Make Noise‘. 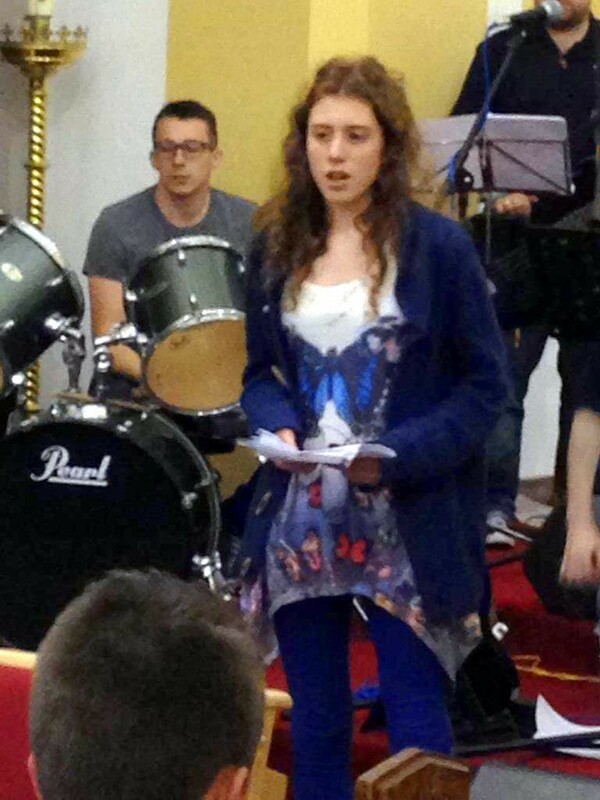 We also heard some wonderful personal testimonies from Siobhan Drake and Sophie E, Joe & Sophie H from the Briars team who showed us how important it is to live a life filled with faith. The Cannons band, a collaboration of excellent musicians from all over led us wonderfully in Praise & Worship of God, with congregations singing their hearts out all week. Wo-oh-oh, hear the sound from heaven…. At the end of each evening we tucked into some much-needed pizza and reflected back on the events proceedings, sharing in each others thoughts, feelings and experiences. It was superb week enjoyed by all and we hope you can join us next term as Cannons will be returning even bigger and better so watch this space for more information, all are welcome. NDCYS and Reach 4 would like to thank all those who made Cannons possible: host parishes, guest speakers, musicians, teachers, parents, youth group leaders, supporters of the Briars and most importantly the fantastic young people that came along and made these evenings such an incredible experience. May God bless you all. I am writing to inform you that the diocesan youth event ‘Cannons’ is returning to your area. We have found the events in Buxton have been growing each time and have been delighted to welcome people from Glossop, Hassop and other areas as well as Buxton itself. We hope and pray that these events continue to grow with your help. CANNONS is back! Join the Briars team for a night of fun, games, music, prayer, faith and food at St Anne’s RC Church in Buxton from 7-9pm on Tuesday 15th March. Cannons is for those aged 14-18 and is a free non-ticketed event designed to provide young people with an opportunity to come together and explore their faith. This event would be perfect for any youth or confirmation groups within your parish so please do encourage them to come along if you have any such young people.